1,728 inches = 144 feet. Most important for this blog: 1,728 inches = 52.8 megalithic yards. A megalithic yard is 30/11 feet. The megalithic yard is 2.72727…feet. Expressed as a fraction, it is 30/11 feet. First, one thousand seven hundred twenty eight hides in this number square. Here’s how: Gnomoically dividing the square of three was a custom. It was most conspicuous in the Arabic school of Jabirism. Jabir Ibn Hayyim traced this custom back to Hermes. Hermes traced this custom back to Ariel. How is one thousand seven hundred twenty eight found? A gnomon is the part of the geometrical figure with numbers that remains when one is its corners is removed. On the number square, remove 4 boxes that contain 5,7,1, and 6. That is the lower right set of 4 boxes. The remaining numbers of the gnomon are 8,3,4,9, and 2. Multiply these five numbers. Their product is 1,728. Add the perimeter numbers around the central five. We have 4 + 9 + 2 + 7 + 6 + 1 + 8 + 3 =40. Finally, take the megalithic rod: 100 megalithic inches measure the length of of megalithic rod. On the 3 x 3 number square, 10 is a characteristic number. Any two opposite numbers equal 10. In the secret codes of this number square, powers of ten actually go to infinity. For this, please look at the number square as I list the numbers . By two numbers at the time: 49 + 61 = 110. Another, 29 + 81 = 110. If it crosses the center, it’s dual to itself: 59 + 51 = 110. Or, 15 + 95 = 110. This number, 110 can be pulled out of the square in 16 different ways. The above maneuvers entailed a straight treatment of the numbers: All in a row. But when you twist and turn the numbers, they grow to infinity in their balance. This is the “grain of mustard seed” that grows into the largest plant. The Gospels refer to it. In this manner the smallest number square defines and describes infinity. Follow the next sets of numbers on the square as I describe them. Or another two sets of 5 numbers, 81,672 + 29,438 = 111,110. Or, let’s go bigger: 38,167,294 + 72,943,816 = 111,111,110. Finally, the music of antiquity. We observed above that one thousand seven hundred twenty eight inches equals 52.8 megalithic yards. Sacred musical antiquity was all about the known diatonic scale. The “C” above middle “C” of the ancient diatonic scale vibrated at 528 times per second. Middle “C”, an octave lower, vibrated 264 times per second. This is also referenced at Stonehenge. The distance from its center up to the heel stone is 264 feet. The octave higher “C” by number (528) was taken and multiplied by 10 to arrive at the feet in a mile, 5,280. Measure, math, and music are all derived from this ancient number square. It unified mankind and brought the blessings of peace to all. Certainly, it can provide the same vision for the present. Megalithic measure, also found in Malta, found its way into Judaism – some 2500 years later! The specific measure is the megalithic yard. It equals 2.72 feet. My book on sacred engineering was set into triangle on site of the featured picture. First, sacred engineering was based on the simplest number square. It is the traditional arrangement of the 3 x 3 number square pictured below. In paradox fashion, it is also the most complex. 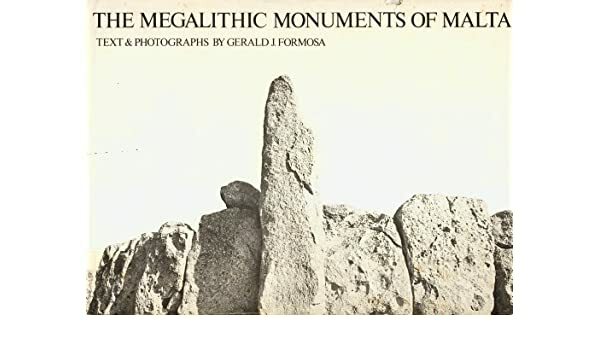 First, a description of the megalithic yard: A Megalithic Yard (MY) is a unit of measurement of about 2.72 feet (0.83 m), that some researchers believe was used in the construction of megalithic structures. The proposal was made by Alexander Thom as a result of his surveys of 600 megalithic sites in England, Scotland, Wales and Britanny. Thom also proposed the Megalithic Rod of 2.5 MY. As subunits of these, he further proposed the Megalithic Inch of 2.073 centimetres (0.816 in), one hundred of which are included in a Megalithic Rod, and forty of which composed a Meglithic Yard. As you have just read, a megalithic inch is 0.816 inches. That is a straight read across the bottom of the number square. A megalithic yard contains forty megalithic inches. Here’s the arithmetic: 40 x 0.816 = 32.64 inches. Next, 32.64″/12″ = 2.72 feet – or 1 MY. Add the 8 perimeter numbers. For fun, start with the 8-1-6 trio. As 8 + 1 + 6 + 7 + 2 + 9 + 4 + 3 = 40. That is the number of megalithic inches in the megalithic yard. The megalithic inch is literally extracted from the 3 x 3 square’s basic and apparent image. Megalithic Measure has survived in unexpected ways. The old Hatfield House in Hertfordshire, England is 272 feet long. Even though is is called “old”, it was built circa 1611. This is over 5,000 years after the Malta temple. The triangle in the picture below, like the featured picture, also holds my book: The Sacred Engineers’ Philosophy- the Pinnacle of Thought in the Unified Culture of Ancient Builders. The triangle on all sides, by whole or fraction, defines the basic megalithic yard of 2.72 feet. As you can deduce, the Maltese temple at Tarxien and the English Hatfield House, built 5,000 years later, are part of the same number square tradition. This tradition once encompassed cultures worldwide in a former and lost Golden Age. I think that with their re-discovery, we are about to enter a new Golden Age of peace and plenty. The three letter word for Arab in the Hebrew language (which translates, evening) uses the same three letters, only re-arranged. Their numerical value by gematria spelled with Hebrew letters is, of course, 272. Peace and Harmony are soon to be a natural state between all nations. Sites built by the code must be rebuilt in a new re-dedication to a new return to peace and plenty. These sites are all around the Earth. Let’s be joyful! How my book made it to this temple is quite a story. I stayed home. Marduk and His Temple are a Billboard for Measure. What measure, you might ask? The megalitic yard. Marduk (Sumerian spelling in Akkadian: dAMAR.UTU ??? “solar calf”; Greek Μαρδοχαῖος, Mardochaios) was a late-generation god from ancient Mesopotamia and patron deity of the city of Babylon. It is a ziggurat. It is a step shaped structure with a temple at the top. In this case it has 7 levels including the top temple. 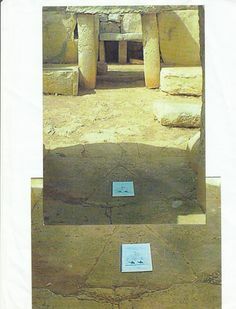 The oldest standing temple in the world on the southern island of Malta has a triangle. Its 3 sides measure 2.72 feet. My book, Sacred Engineer’s Philosophy, is set in the triangle at this temple on Malta. The 3 sides define the length of the megalithic yard. Harmony’s number is 272. Question: In what possible way can 272 bind opposing forces as one? Answer: Numbers 5 and 6 were considered polar opposite numbers. Five was yin. Six was yang. The five pointed star was a symbol of man. The hexagon, with 6 sides, was connected to the cosmos and the inanimate. In the Medieval gardens and decorations the five strong petaled rose was thought of yin; while the six- petaled lily was yang (refer to John Michell in City of Revelation). Many crystalline forms, the snowflake, even the cells of a honeycomb are six sided…So how does 272 unite man and the cosmos through numbers 5 and 6? Answer: 272 results from basic arithmetic of numbers 5 (yin) and 6 (yang). As, 6 x 5/ 6 + 5 = 2.72727272… Or stated in another way, 30/11= 2.727272….The ancients took 2.72 as setting the pattern. The first level of Marduk’s temple is square it outline. It measures 300 square feet. There is your 30 multipled by 10. Its height is 110 feet. There is your 11 multiplied by 10. Both factors are there. Multiples by 10 were freely used in antiquity. They grow out of the hidden number codes on the 3 x 3 number square. I’ve blogged about these multiples that go to inifinity. Conclusion: The first level of the temple’s base is a giant billboard for the megalitic yard. Peace Can be Acquired By Uncovering the Distant. The key is using numbers five and six. Worldwide measure was once based on their interaction. Five was considered to be yin. Six was yang. They interacted through the megalithic yard. Through the Middle Ages five and six were still key numbers. At the time, the rose with its five strong petals was yin. The lily with its six petals was considered yang. Author, John Michell, discusses the topic in his City of Revelation. See chapter six, Sacred Geometry, The Plan of the Holy City. A vision of peace comes by bringing 5 (symbolizing man); and (6) symbolizing the cosmos together. How were 5 and 6 brought together to Create Peace? They were unified by a Neolitic measure, the megalithic yard. It is 2.72 feet. 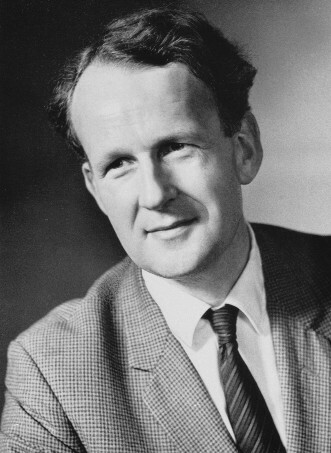 Professor A. Thom of Oxford University discovered it in the late 1960’s. It had a worldwide use. Here is the formula for the measure. The number was then taken as feet. The 12 inch foot is of great antiquity. The cubic inch of gold was a standard unit of weight in Summeria, Babylon and Greece. Examples can be found at the British Museum. A cube has 12 edges. Thus, 12 edges x 1 inch = 1 foot. The 2.72 foot measure was also projected by the Egyptian Canon of measures. I think the MY’s relationship of 5 to 6 was rediscovered by myself? The Egyptian formula was expressed differently. The megalithic yard was: the square root of 5 x 1.2165 foot Egyptian remen = 2.72 feet. Israel Partakes of the 5 and 6 Tradition for Peace. Six is obvious. It is the 6-pointed Star of David. Finding 5 involves gematria. This is a word that expresses the total unity the numbers and letters once had. There were no separate letter and number systems. Israel in Hebrew translates to 541 (יִשְׂרָאֵל). One (1) was often added to words for the presence of God. The tradition was called colel. How does that relate to number five? A pentagon (five-sided, plane geometrical figure) has 540 degreees. What About the Oquaga Spirit and Peace? So where does my poetry book The Oquaga Spirit Speaks come in? In my case, knowledge and insight came on Oquaga Lake. I spent many summers at Scotts Oquaga Lake House as the piano player. A spirit would keep me company on my hikes through nature. The blogs are all free. If you feel like it, read the words of the Indian spirit in this book. It is posted as a product on DSOworks.com. Download is $7.99, Hard copy has just been made available on demand. Price for the 80 poems and all color pictures is $29.99. Add $5.00 for shipping and handling. Home of the Oquaga Spirit of peace. The Lake is shaped like a bear. It was the home of the Lennie Lenope Indians. Where did the measure of 2.72 foot megalithic yard, re-discovered by Professor Alexander Thom of Oxford University in the 1960’s, really come from? Thousands of years ago, Plato called 272 the number of harmony. John Michell writes about the subject in his City of Revelation. Thom found this unit at at 600 sites located in England, Scotland, Wales and Brittany. In the 1900’s, Jay Hambridge discovered that the megalithic yard was an extension of the Egyptian remen: The 1.2165 foot remen x square root of 5 = 2.72 feet. Hambridge uncovered the source of numerous ancient measurements by multiplying the Egyptian remen by the square roots of 2,3, 4,5 etc. I discovered that many older measurements, including those that Hambridge uncovered are found in the 3 X 3 square pictured above. It was the cornerstone of ancient builders. In my blog on Genesis tunes to A-440, I talk about the hidden number codes. Please follow the numbers on the tick-tack-toe board above: By single digits the perimeter totals 40 as: 4 + 9 + 2 +7 + 6+1 + 8+ 3 = 40. But overlapping double digits, the total becomes 440 as: 49 + 92 + 27 + 76 + 61 + 18 + 83 + 34 = 440 (we still tune to A-440). Overlapping the digits, three at the time, corner to corner, we have 2220 as: 492 + 276 + 618 + 834 = 2220. The formula for deriving the megalithic yard from this number square is: P1 (40) + P2(440) + P3 (2220)/(divided by) P3(2220) times the square root of the central number,5. The 3 X 3 magic square can have some different number arrangements, as books on number squares illustrate. John Michell, states that the above diagram is the traditional way it is viewed, Now why is the traditional solution important? Because, other key megalithic measures and mathematical amazements are found when looking at the bottom row horizontally: As the numbers across the bottom are 816 or in reverse 618 we find: (1) One megalithic rod = 81.6 inches (2) One megalithic inch = 0.816 inches. When these three figures are reversed as 618, magically, the Golden Section appears. Ancient sites around the globe used the 1 to 1.618 ratio for construction. After they were constructed by the Golden Section, they were measured by megalithic units. This will be the subject of future blogs. Jericho was such a site. .618 is diminutive expression of the Golden section: 1/1.618…= o.618… Finally the megalithic yard as 2.72 references another mathematical gem: the exponential factor of growth: 2.72 is a close approximation that expresses the limits by which systems can grow. I will save the appearance of pi for another blog. Thank you for your patience.